We’ve seen the rise of The DAO. On its heels are AI DAOs, which are more powerful than just AI or just DAOs on their own. If you thought DAOs were troublesome (e.g. The DAO hack), then consider what would happen if the troubles were 1000x worse. That’s the territory AI DAOs might take us into. Let’s start to explore the societal implications now, to see if we can mitigate potential downsides before real damage is done. How? Here, I use an “ArtDAO” to explore how to get an AI DAO soon, how it might become wildly more powerful (and more dangerous! ), and why it really matters to think about it now. Here, I describe how an AI DAO that generates art could become a millionaire and spawn a whole AI DAO mini-army for art. 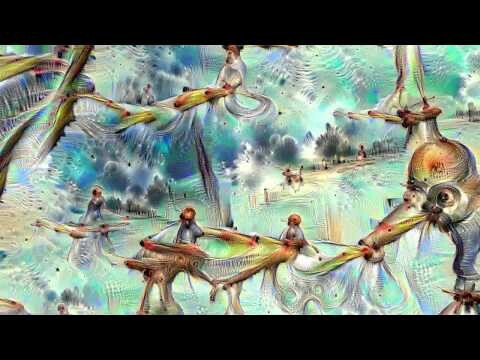 Beyond genetic programming and deep learning, there are several other AI techniques to generate art. It could even use images from the internet as seeds for the subject material or for the style. For example, cats + Van Gogh = Van Gogh cats! In short, getting AI to generate art is pretty straightforward these days. Here’s how an AI-based DAO would work. Call it ArtDAO. It runs an AI art engine to generate an new art image. It uses GP, deep nets, or other approaches. It creates multiple editions for the image, using ascribe, just like multiple editions for a wood etching, bronze sculpture, or photograph. It posts those editions for sale onto a marketplace. It could be centralized like Getty or Shopify, or decentralized like OpenBazaar. It sells the editions. It transfers the proceeds from the buyer to ArtDAO using the built-in cryptocurrency (say, Ether). It transfers the rights from ArtDAO to the buyer using ascribe. These are the rights to re-sell, to publicly display, more. Repeat! Create more art, sell it, get wealthier. Over time, if ArtDAO makes more money from sales (step 5) than from generating new art (step 1) then it will accumulate wealth. As ArtDAO makes more money, it could generate more pieces at once, and sell more works at once. It wouldn’t have the traditional creativity limit of human artists. With little overhead, sales convert to almost pure profit, and it might easily amass millions of dollars. Or even billions. Imagine the first millionaire AI, or billionaire AI! That’s about when the government might take notice too. That’s a lot of sales tax and income tax. But how do you tax a DAO? Especially if it keeps all the proceeds itself, rather than paying a human? The problem gets even bigger if the DAO expands outside the art market into producing other goods. This might be a fast-track to getting governments to pass laws recognizing AIs as people, who can hold copyrights and pay taxes like the rest of us. So far, we’ve talked about an ArtDAO that generates visual fine art. It could also generate logos and themes for new startups. There are also AI algorithms that are pretty good at generating 3D designs, music, videos, and even entire films. Each of those could be put into a DAO. We can get AI DAOs by starting with a DAO, and adding AI (DAO → AI DAO), vice versa (AI → AI DAO), or by transforming SaaS (SaaS → AI DAO). Let’s explore each. DAO → AI DAO. Many people have written about applications of DAOs, so I won’t explore them further here. But for each of those, imagine: what if an AI helped to power it? What about an AI twist on Plantoid? What about AI DAOs for governance? Things could go wrong, very quickly, as we’ve seen with The DAO. So we need an active discourse on this now. That’s the main point of this essay! AI → AI DAO. Many have written about AI applications. A great recent example is this hedge fund where anyone can submit AI code and profit. For each AI application, ask: what if we added DAOness? What if the application went untethered? What if it had access to resources? Once again, these questions are worth exploring in detail, and we need to have these discussions now. SaaS → AI DAO. Almost anything that’s currently a software run as a service (SaaS), whether it’s analytics of your website or file storage, could be run as a DAO, without any humans running it. No overhead, no human time, no salaries, just raw compute resources. DAOs and their AI variants could eat many SaaS businesses. What’s stopping it from all happening immediately is that we do like software upgrades, we do like support, and for software that doesn’t need upgrades or support (think LaTeX) the software is already out there, free. But give it time. It doesn’t need to be pure software either, it could be software that mediates atoms as well. Consider if Uber cars were not just self-driving, but also self-owning. There’s a path: there’s a self-driving car that begins operation as being fully owned by a human or a corporation (such as Uber itself). But it’s got an AI DAO as its governing entity. Over time it buys out its share from the previous owner, just as leases work now. In a few years it will own itself. This could work for a broad variety of physical objects: cars, real estate property (like terra0.org), locks (somewhat like slock.it), airplanes, phones, really almost anything. We might have a future where humans own nothing, we’re just renting services from AI DAOs. Ultimately, AI DAOs could be applied wherever we want (a) a feedback control system (b) with AI-level decision-making power and (c) an ability to marshal resources. But whether we want them there is a different question, as dangers lurk; we need conversation now before it starts happening. Let’s go back to the ArtDAO example. There are more ideas to unpack. Auto adapt at the market level. It creates more of what humans buy, and less of what humans don’t buy. Perhaps with some variance for diversity. Auto adapt at the art-work level. Here, a human influences the creation of an artifact. For example, it presents four variants of a work, and a human clicks on a favorite. After 10 or 50 iterations, it will have a piece that the human likes, and purchases. Human-based adapt at the code level. Here, humans put in new smart contract code (and related code in 3rd party services), to improve ArtDAO’s ability to generate art and amass wealth. Just as The DAO (before the hack) was to go from 1.0 to 1.1. Auto adapt at the code level. Here, the ArtDAO modifies its own code, in hopes of improving. This is simpler than it sounds: imagine that it creates a copy of itself, changes that copy’s code just a little bit, and gives a tiny bit of resources to that new copy. If that new copy is bad, it will simply run out of resources and be ignored. But if that new copy is truly an improvement, the market will reward it, and it will be able to amass resources and split more on its own. Over time, ArtDAO will spawn more children, and grandchildren, and the ones that do well will continue to spread. If we keep extrapolating this latter scenario, with generation upon generation growing, we’d have a mini-army of AI DAOs for art. This example started with a centralized AI DAO for art. It could also have intelligence at the edges: imagine if the buyers were also AI DAOs. Those buyers might be able to find other markets where the art can be sold at a profit, that is, a classic arbitrage opportunity. Or perhaps some AI DAOs simply create new exchanges between buyers and sellers, in essence replacing the gallery or art auction house business model. If this happens, a network of DAOs will have emerged. In the style of swarm intelligence, more complex behaviors could emerge at higher levels, that we did not originally anticipate. AI DAOs all the way down. Frankly, I’d be surprised if higher level behaviors didn’t emerge. AI DAOs at the center. AI DAOs at the edges. AI DAOs all the way down. All at once! A Small Step for Code, A Giant Leap for DAO? It might sound fun if we can fully control the AI DAOs by virtue of constraining their behavior to just small mutations from the original intent. But consider other operators on a DAO codebase. Children could cross-breed with each other — “crossover” in GP-speak — which sort of a behavioral interpolation. This allows creation of an AI DAO that takes “the best of both worlds” of its parents. It’s a way to add complexity quickly, with a high success rate. Or, any ArtDAO could mine code from the net (even just GitHub), which means it has a vast supply of large, powerful building blocks of code. This is common practice in GP. A market could even emerge for DAO code. This market itself could be automatic, where DAOs selected code. In applying these new operators, especially code mining (and human intervention), an art DAO could end up having behaviors that become far removed from the original art goals. Some could be good, like finding security flaws. Some could be terribly dangerous, like putting hits on people. At the end, all that the AI DAO would care about is to not die. Because that’s how evolution works. Evolution is less survival of the fittest, it’s more death of the least-fit. As technologists, we must consider the ethics of those things we build. It’s irresponsible to say ethics are not our responsibility, that “it’s just code”, because those technologies will still have an impact; it just means we haven’t thought through the societal implications yet and taken action to mitigate catastrophe. DAOs catalyze the path to AI waking up, because it gives the opportunity for near unbounded access to resources. What will get us, as a society, to think about AI DAOs more? Training wheels help. We can build something less-dangerous, that is sufficiently close to the dangerous technology that it allows us to ask questions about it together, and come up with better plans surrounding the dangerous technology. My friend Juan Benet calls this “idea-virus inoculation”. Plant a small version of the idea (the vaccine), think it through and design defenses (grow the antibodies), and now you’re more prepared for the real version. Just like chicken pox! The initial steps of the ArtDAO are the idea-virus inoculation. In doing it, it will provoke conversation, raise many new questions, and hopefully, cause preparation about how society can handle it. We should build it soon. AI DAOs are not science fiction; they are something we could build today. AI is a powerful, and dangerous, technology on its own. DAOs are a powerful, and dangerous, technology on their own. AI DAOs could be way bigger than AIs on their own, or DAOs on their own. AI gets its missing link: resources; DAO gets its missing link: autonomous decision-making. The potential impact is multiplicative. Let’s ask the tough questions now. Let’s have the hard conversations now. Let’s inoculate now. Who’d like to build an ArtDAO? Let’s talk. Moving forward: AI DAOs will catalyze AI waking up. If AI wakes up, we should be very, very worried. Here’s a plan (Part III in this series). [Edit: I gave a talk on AI DAOs in Berlin on July 11; here are the slides]. In the recipe above, Step 1 could be expensive if baseline Ethereum was used for processing and storage, but we could outsource to 3rd parties. Processing could use a EC2, or a decentralized variant like Golem. Physical storage of the art work could be on S3, or decentralized with Storj, Swarm, or FileCoin; perhaps organized by IPFS. The next section shows an alternative recipe that is more pure Ethereum. Here’s another way to arrive at an ArtDAO, but in a fashion closer to The DAO. Like The DAO, it leverages futarchy, that is, prediction markets for governance. It also leverages TrueBit, where one can can request storage or computation task, to be solved by anyone in exchange for a reward. Here’s the recipe. Instantiate the ArtDAO with a normal crowdsale. Funds are held by the ArtDAO, which creates the shares for the tokenholders. The funds are used by the ArtDAO for various parts of its functioning. If its Ether is drained, it “dies”, unless made alive again. The first thing that ArtDAO instantiates (this is triggered by an external entity) is the process of choosing an external generative algorithm for use in creating these images. Several proposals are tabled to the ArtDAO upon which a futarchy is created for each proposal. The futarchy prediction market will bet which of these proposals will produce the highest income for the ArtDAO in two months’ time. The losing markets are closed and the winning markets keeps on trading, and turns into a normal prediction market: How much will the art be sold for in two months’ time. The ArtDAO is a maker itself for the markets. Now that the external generative algorithm has been chosen, it now solicits external actors to generate the images. This is where TrueBit comes in. In order for the proposal to have been accepted it needed to conform to how the TrueBit scheme verifies external programs correctly. It’s a computation market where results are submitted to external computations, and in most scenarios no external verification would be required. It does this through a clever scheme. ArtDAO would post with a market fee (with its own funds) that it wants to generate an artwork using the specified external algorithm using a random number as input (more complex input schemes could eventually be devised). An external third party submits the result with a deposit. If a challenger believes the solver is lying/cheating then a verification game is initiated. On the Ethereum blockchain itself is the code to play this verification game. Through the use of Merkle proofs of the computational steps, it can verify the external program is correct if the verification script is set up properly. If the challenger succeeds, the original solver loses their deposit and the challenger receives the fee. Now, the ArtDAO can prove that that external algorithm that was chosen, correctly created a piece of art it now owns. Using ascribe-like scheme, the artwork is registered and then put up for auction. It’s a limited digital edition. Others can bid to buy it. The funds that are earned are split between the tokenholders & the ArtDAO. After a certain time period, the chosen generative algorithm is put on the block again and the ArtDAO has to choose a new one that will hopefully make it more money. Rinse & repeat. The ArtDAO will run out of money if it bleeds money by not selling enough artwork. It bleeds money by paying external programs to generate images OR by losing as a market maker. Various permutations of this can exist. How much should the fees be to the market to generate art? How much art should it create before trying to upgrade its generative algorithm? One could do traditional voting vs futarchies as well. Or tokenholders might not need to even exist. As long as the ArtDAO has funds, it will continue to try and generate art until no one cares anymore. Futarchy can replace the requirement of tokenholders. Thanks to many others for conversations that influenced this too, including Primavera de Filippi (ya), Vinay Gupta, Samim Winiger (samim), Juan Benet, and Meher Roy. Finally, thanks to Paul Seidler (@brachlandberlin) for pointing me to terra0.org.